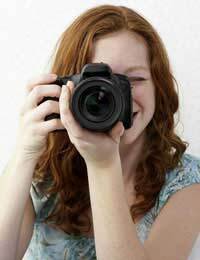 Although you can undertake digital photography and video courses to BTEC level and beyond, if you’re simply looking to get started in either of these areas, your local college or training provider will usually run a relatively short course, perhaps lasting up to 10 weeks in order for you to grasp the basics. Most of these will not lead to any professionally recognised qualification and, as such, they often adopt a ‘hands-on’ approach which is, after all, what the vast majority of us are looking for when it comes to getting the most out of our digital camera or camcorder. With photography in particular, many photographers themselves will offer short intensive courses, perhaps over a weekend and, in some cases, they’ll offer these in a residential setting. A good example might be if you have a keen interest in landscape or wildlife photography where you’ll stay for a weekend in a particular location which will best lend itself to that kind of photography. On a basic digital photography course, you’ll learn all about things like pixels and image resolution, aspect ratio and colour depth which are all key to creating the perfect digital image. You’ll be taught how to frame an image as well as all about workflow which deals with the process of storing, organising, managing and editing your photographs as well as how to transfer them onto a computer, how to e-mail them and how to upload images you’ve captured onto social networking sites, for example. You’ll also learn about flash photography and shooting at night or in gloomy conditions and how best to capture moving images as well as learning how to photograph objects that you may want to display in a newspaper advertisement, on an auction site like E-bay or for online catalogues. You can learn how to manipulate images, using techniques such as airbrushing or removing ‘red eye’ and how you can effectively display your images as prints or how to put slideshows together. For those who prefer to make home movies with a camcorder, you’ll learn all about framing, focus, white balance etc and how to use techniques such as cutaways, the importance of continuity and other different filming techniques to create a certain mood or type of dramatic effect. You’ll also be taught how to create a storyboard so that the ‘story’ you are telling follows a sequence so that it makes sense to the viewer as well as moving the story along. You’ll learn all about shooting from different angles and how and when to use a tripod as well as other clever techniques such as 3 in 1 shots and how to add a soundtrack to increase the sense of drama or mood you’re trying to convey to the audience. Once you’ve produced a short sequence of scenes, you’ll then learn how to edit them on a PC or laptop and how to store them on a computer or transfer them onto a DVD. Of course, there are specialist degree courses and other courses run by professional institutions for those who wish to follow a career path within photography or film but the vast majority of short courses will be sufficient to give you the basics from which you can go off and practice the techniques yourself and, like most things, you’ll often find that it’s the errors you make and what you learn from them as well as a determination to keep practising which will, alongside the practical skills you have learned, eventually lead you into producing quality images and video footage as you gain more confidence and fine tune your skills.